Allpro Technology is now an authorized HughesNet dealer! HughesNet is the high-speed internet solution that's available to everyone - even in areas where cable internet and DSL don't reach. 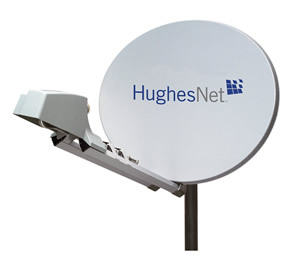 HughesNet uses satellite technology for a super-fast, always-on internet connection. That means faster surfing, faster downloads, instant email access and it doesn't use your phone line - so missed calls and dialing in are a thing of the past! HughesNet lets you enjoy the internet the way it was meant to be. We now offer free installation with the new Lease option! Click here for complete pricing and plan details.